On the 2nd (Thu), sample the fine beverages at Lark Distillery. Keep things going the next day: kick back and relax at Seven Mile Beach, contemplate in the serene atmosphere at St. David's Cathedral, then contemplate the long history of Cascades Female Factory Historic Site, and finally get to know the fascinating history of Battery Point Sculpture Trail. 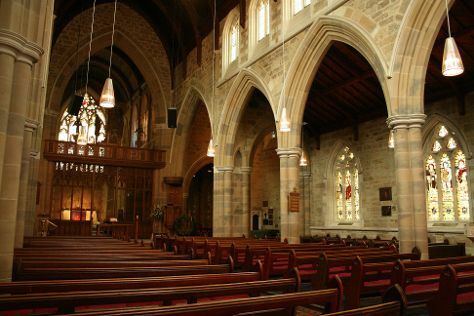 For other places to visit, more things to do, maps, and other tourist information, refer to the Hobart trip itinerary planning site . Sydney to Hobart is an approximately 4.5-hour flight. You can also do a combination of train, ferry, and bus; or do a combination of bus and ferry. Traveling from Sydney in January, things will get little chillier in Hobart: highs are around 26°C and lows about 14°C. Finish your sightseeing early on the 4th (Sat) so you can drive to Port Arthur. Start off your visit on the 5th (Sun): trek along Three Capes Track, steep yourself in history at Australian Convict Sites, and then steep yourself in history at Coal Mines Historic Site. 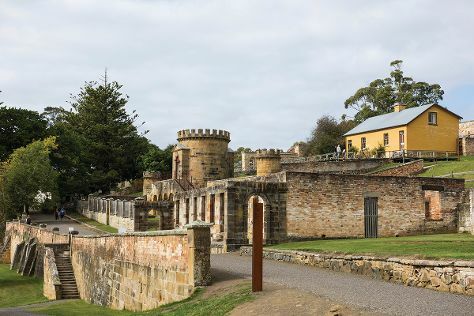 Here are some ideas for day two: appreciate the extensive heritage of Port Arthur Historic Site, steep yourself in history at Government Cottage, and then get to know the fascinating history of Cape Raoul. For other places to visit, where to stay, more things to do, and more tourist information, refer to the Port Arthur trip planning app . Drive from Hobart to Port Arthur in 1.5 hours. Alternatively, you can take a bus. In January, plan for daily highs up to 26°C, and evening lows to 14°C. Wrap up your sightseeing on the 6th (Mon) early enough to drive to Coles Bay. On the 7th (Tue), do a tasting at Devil's Corner Cellar Door, then tour the pleasant surroundings at Friendly Beaches, and then visit a coastal fixture at Cape Tourville Lighthouse. For maps, traveler tips, and more tourist information, refer to the Coles Bay trip itinerary builder tool . You can drive from Port Arthur to Coles Bay in 3.5 hours. Alternatively, you can take a bus. Wrap up your sightseeing on the 7th (Tue) early enough to travel to Bridport. Bridport is a small town on the north-east coast of Tasmania, Australia. Start off your visit on the 8th (Wed): play a few rounds at Lost Farm Barnbougle Golf Course and then tee off at Barnbougle Dunes. For photos, where to stay, reviews, and other tourist information, read our Bridport sightseeing planner . Drive from Coles Bay to Bridport in 3 hours. In January, plan for daily highs up to 28°C, and evening lows to 12°C. Finish up your sightseeing early on the 8th (Wed) so you can go by car to Devonport. On the 9th (Thu), learn about winemaking at Ghost Rock Tasmania, brush up on your knowledge of spirits at Southern Wild Distillery, then enjoy the sea views from Mersey Bluff Lighthouse, and finally enjoy the sand and surf at Coles Beach. For ratings, traveler tips, photos, and other tourist information, you can read our Devonport trip itinerary builder site . You can drive from Bridport to Devonport in 2 hours. January in Devonport sees daily highs of 28°C and lows of 12°C at night. Wrap up your sightseeing on the 9th (Thu) early enough to travel back home.